Finest has introduced a new product that will make you fall in love with our bacon all over again. Our Candied Bacon combines the powerful flavour of our Bacon, the sweetness of Maple Syrup and a subtle hint of Chipotle Seasoning! No cooking or refrigeration needed…just open up the bag and chow down! 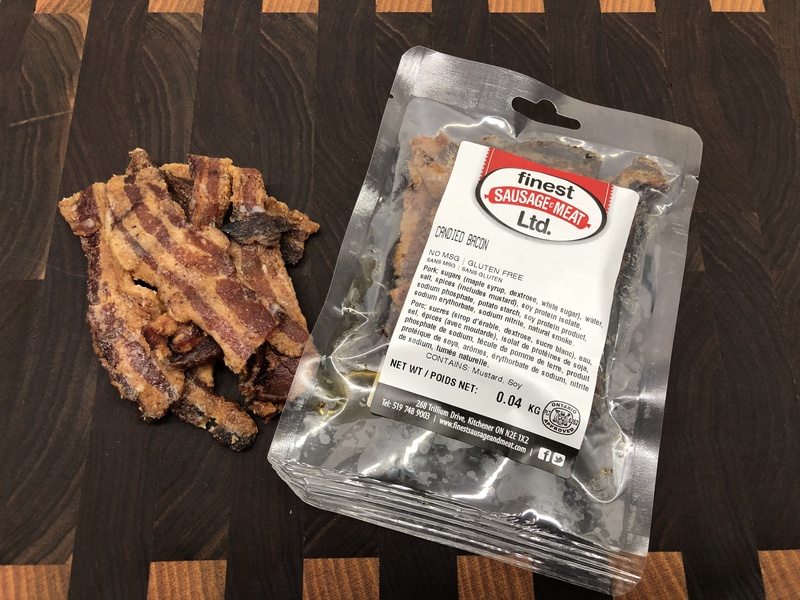 Candied Bacon is available at our Factory Market location at 268 Trillium Drive in Kitchener, Kitchener Market and St. Jacobs Market!